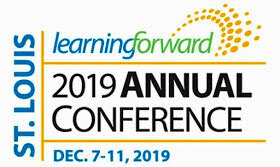 Learning Forward India is getting set to submit the Proposal for presenting at the Learning Forward Annual Conference 2019. This will be a great opportunity to work with teams across the country, all member of the My Good School Alliance. My Good School Program for schools helps empower students by creating an environment for the personal and social development of an individual. By subscribing to our philosophy of quality in education, offering an environment where experiential learning is made possible through activities beyond just study, brings to life learning that would otherwise be theoretical and uncoordinated.